A mirror to the other CRG panel 'Tourism in Africa', this panel explores the ambitions and experiences of Africans, not in their quality of receiving global tourists but as global travellers themselves, including those who only travel virtually, their actual travel being hampered by visa restrictions, lack of means, and/or the right connections. African global travellers may (aim to) travel for a diversity of reasons, such as work, education, leisure, religion, adventure, safety. Their trajectory and destination may be influenced by established connections (family, religious networks, economic connections, including those developed through tourism), as well as by disconnecting factors, excluding some destinations as an option. Like for tourists coming to Africa, imaginations of the destination play an important role in inciting Africans to travel. How are these imaginations fed and how do they influence Africans' global travel (aspirations)? Like in the other panel, we aim to investigate the role of policies and imaginations in connecting African global travellers to certain localities in the world, while putting barriers to connecting to others. We also invite papers analysing how African global travellers use pre-existing connections for travelling, and/or forge new ones by travelling, particularly to destinations beyond the West. 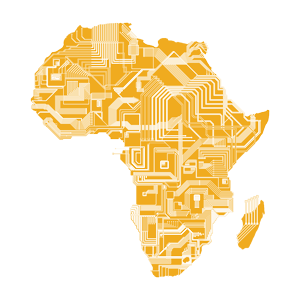 Moreover, we explicitly aim to pay attention to 'the paradox of connectedness', the fact that ever more Africans are globally connected through ICT and mass media, but, because of this, feel ever more disconnected, seeing their aspirations of global travel and exploration frustrated by restrictive policies from Western and Asian countries.